Our state of the art facility offers many types of machining and manufacturing services. From prototype development to full scale production, we use the most advanced CNC equipment along with technologically advanced 3D CAD/CAM systems. At Rapid Design Group, we recognize the important connection between engineering and manufacturing. While many companies offer manufacturing; we supplement our manufacturing services with engineering support to ensure no detail gets missed. 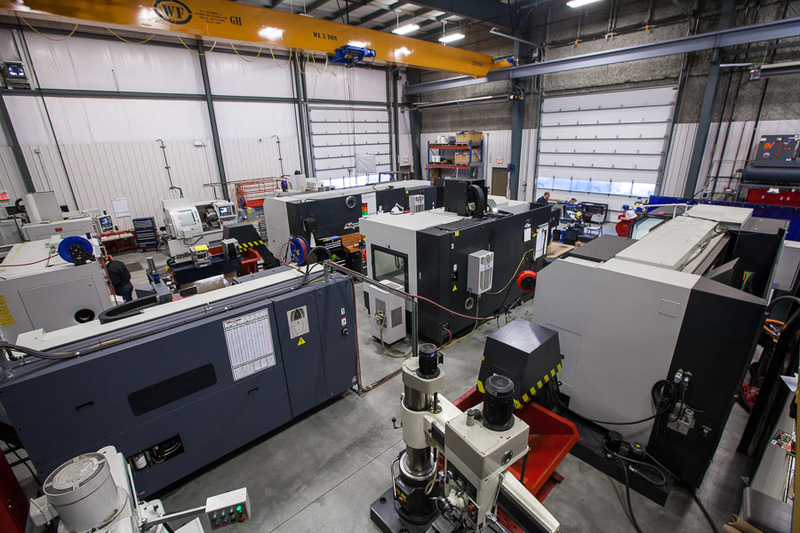 Some of our manufacturing capabilities include: 4-axis milling and turning, threading, 3D printing, laser and water jet cutting, electrical discharge machining, heat treating, welding, and hard facing. We understand the importance of developing and implementing product quality standards. Some of the quality control procedures that we conduct include: 100% dimensional inspection, ASTM testing, and full trace-ability.